Understanding how Six Sigma can be applied to industry challenges will help you produce exemplary results for your organization. Our online training course lets you learn at your own pace and focuses on real world scenarios so you can get the most from your training time. To be effective, you need a solid foundation that will let you identify and reduce variation in any process. Why do we use Six Sigma? 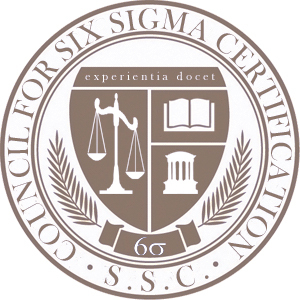 How do we use Six Sigma? Is Every Picture Worth The Same 1,000 Words? How Many Observations Are Enough? How Many Observations Are Too Many? Who Says We Need Data? How About Internal and External Customers? What If We Mix Independent and Dependent Events? Probability of Rolling A Seven? Yield and the "Hidden Hospital"
The Mapping Challenge: How Much Detail? Grouped Histogram or Box Plot? Design of Experiments: How Do We Learn? How Many Tails on that Test? How Can We Help Reduce Uncertainty? Can Processes Change After DMAIC? Why Human Factors in Healthcare?